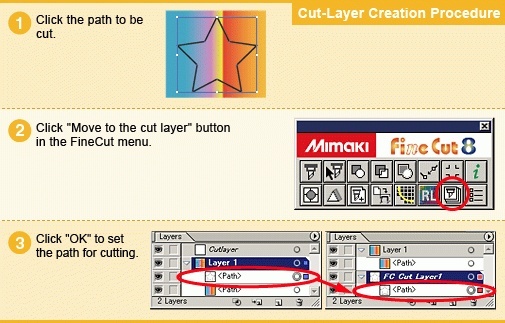 ■ Direct and simple cutting using data from Adobe Illustrator. 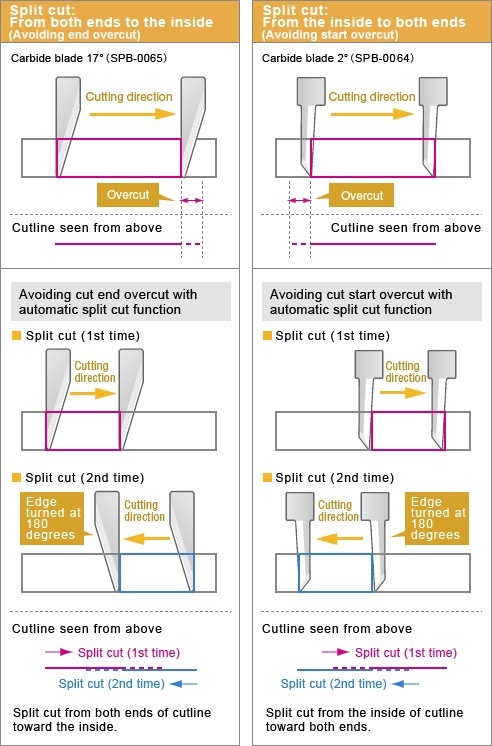 ■ With the use of "import" or "export" of cutting conditions, the cutting conditions can be stored for reuse. ■ The tiling function makes it possible to perform divisional cutting of lengthy material. ■ The trapping function makes it possible to set the overlap space easily. Print and cut data can be sent from FineCut8 screen at once. ❶Print and cut settings can be done on the same screen. ❷Specify a setting of each layer by clicking an icon on the screen. After specifying the setting for each layer, select a hot folder of RasterLinkPro5 then press a RasterLink printout icon to link with RasterLinkPro5 SG.